AllDup enables you to find duplicate files across one or more folders or drives. You can choose to match files by size, name, date, attributes and byte-by-byte content comparison. 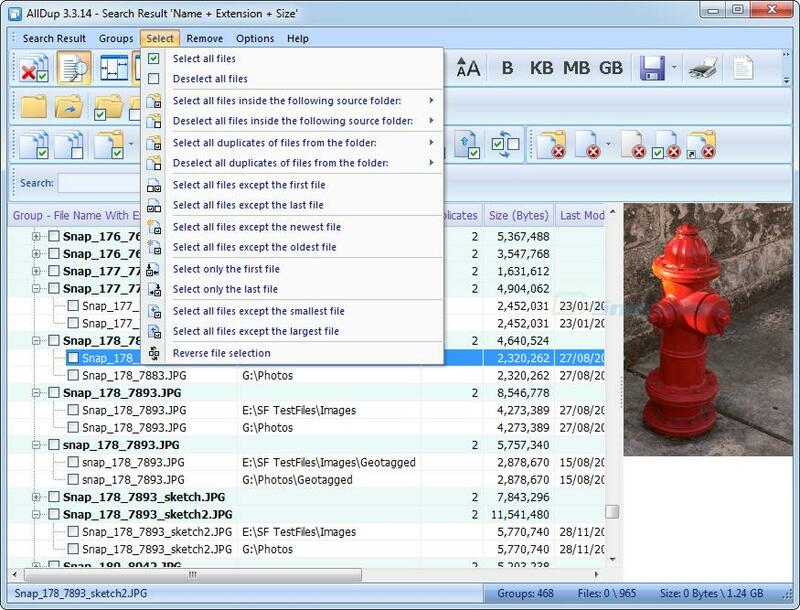 You can also configure a variety of settings to exclude certain file types or folders from the search. AllDup will then scan the selected folders and produce a list of all duplicate files that were found.